Fans of rowdy, old-school, Les Paul–driven guitar rock have a band worth worshipping in British noisemakers the Darkness. The Marshall-powered six-string team of 40-year-old Justin Hawkins and his two-years-younger brother, Dan, really do tear up the frets, both on-stage and on record—as evidenced by their latest disc, Last of Our Kind. And you won’t find a single Stratocaster in their dressing room, because they’re Les Paul all the way, and you can thank their dear old dad for that. The elder Hawkins didn’t inspire his boys with his musical abilities, though. He wasn’t much of a rocker, as it turns out. “I’ve evolved from punk-rock kind of influences like Swervedriver,” Dan relates, “and Teenage Fanclub—I used to copy their solos when I was learning to play guitar. And I try to channel a bit of Jimmy Page when I play, sort of hit like the wrong note sometimes, and see where it takes me. At least, that’s what I tell people. Dan might consider his bro godlike on guitar, but it is actually Justin who lavishes praise on his sibling in the tongue-in-cheek bio he penned for Last of Our Kind. 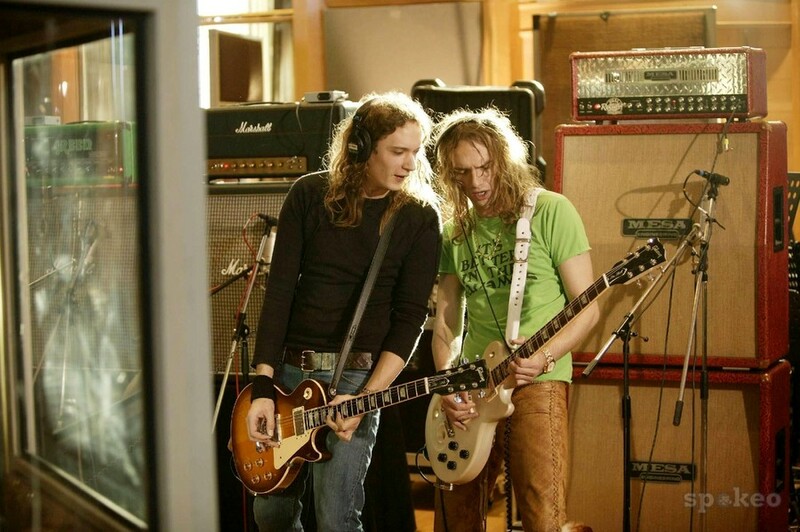 For example, the track “Roaring Waters”, in Justin’s words, “features a Dan Hawkins riff that’s so massive, time slows down when you stand next to it”. 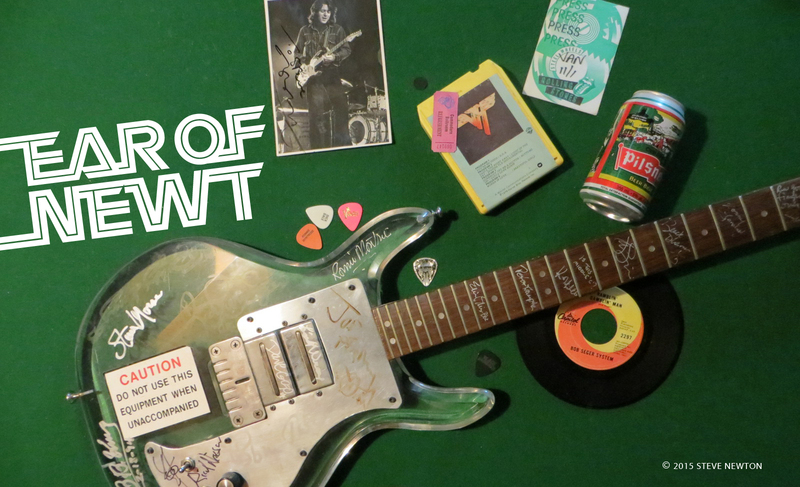 The riff in question is a sweet one, no doubt, but it’s also pretty obvious that it owes a bit of its sassy vibe to that famous lick from Aerosmith’s “Walk This Way”. All this talk of Les Pauls and riffs and Joe Perry might have you thinking that the Darkness is all about the guitars, and while that’s basically true, it does include a bassist and drummer, too. And the skin-basher in question is none other than Rufus Tiger Taylor, the 24-year-old son of legendary Queen drummer Roger. 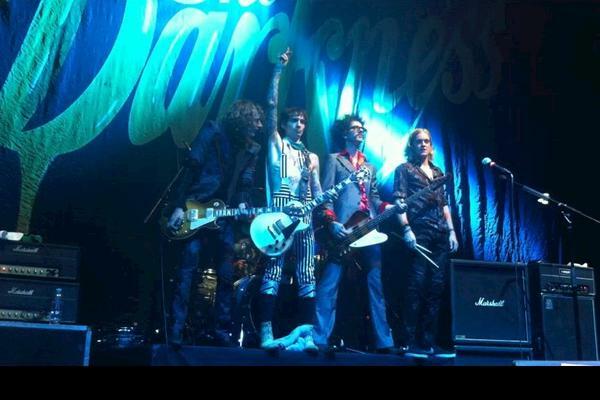 The Darkness plays the Commodore Ballroom in Vancouver this Tuesday (October 13), with guests These Raven Skies.